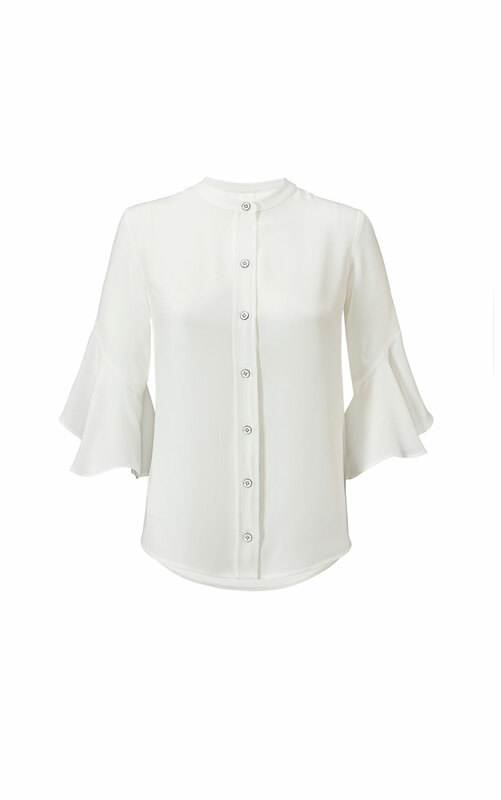 Float through your day with this elegant and feminine blouse. 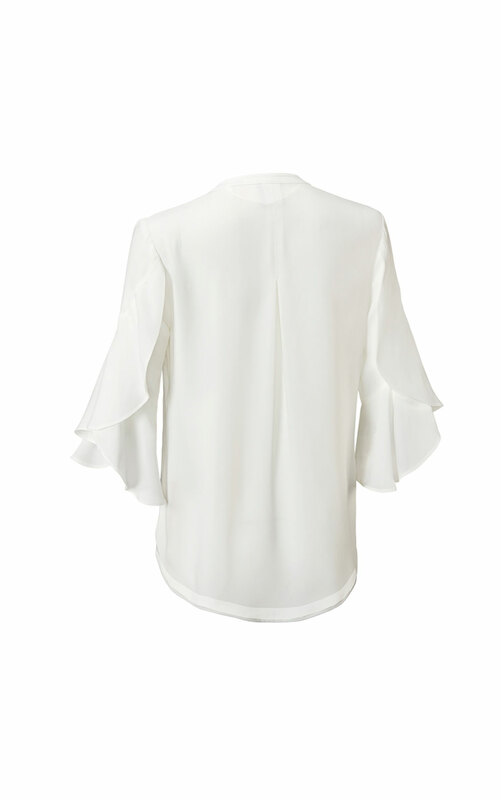 The Float Blouse has wheel-ruffled sleeves and a loose shape that drapes elegantly from the body. 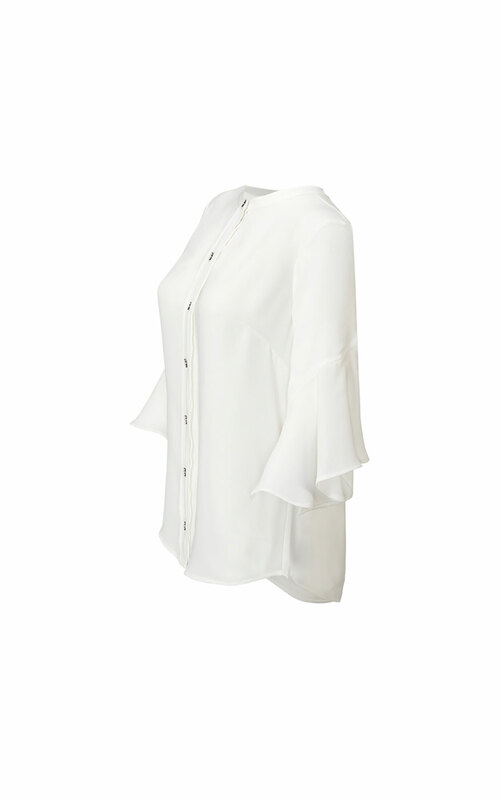 Features a collarless neckline, enamel-metal buttons, and a shirttail hem. Loving the Float Blouse? Share how you’re wearing it on Instagram, and browse through all the inspired ensembles for fresh ideas.